Through education and advocacy, the Safe Space program seeks to make Texas A&M University–San Antonio a more welcoming, safe, and inclusive campus for LGBTQ+ individuals, a term that includes but is not limited to gay, lesbian, bisexual, transgender, intersex, and queer individuals. Safe Space workshops prepare members of the University community to support and advocate for those who identify as LGBTQ+. Once the workshop has been completed, participants will receive a Safe Space certificate, which they can display to signal their status as an advocate. 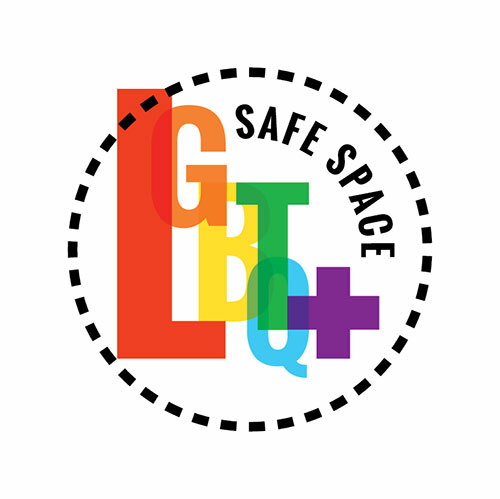 A Safe Space at A&M-San Antonio is a person who provides a safe space that is highly visible and easily identifiable to the LGBTQ+ community. A Safe Space is where support and understanding are key and bigotry and discrimination are not tolerated. Individuals are Safe Spaces, not departments or office work areas. People who are Safe Spaces are compassionate, understanding, and committed to helping create an open and accepting learning environment for all people on the Texas A&M University-San Antonio Campus and in our community. LGBTQ+ students often find campus environments to be unwelcoming and even hostile. Students whose emotional and physical safety is at risk can experience fear and anxiety, isolation and invisibility, fear of disclosure, and high levels of stress. In turn, these experiences can interfere with academic achievement and personal development. Inhospitable campus settings may also contribute to attrition and turnover among promising LGBTQ+ students and staff who fear an oppressive environment.